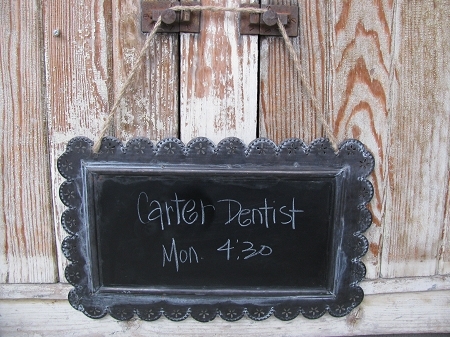 Vintage tin rectangle hanging chalkboard with jute rope handle. Love the look with the scalloped edges. Great for little reminders or sayings that inspire you. Size is 15 1/4" x 9 3/4". With rope it hangs to about 16 1/2". You could always shorten the rope up if need be.